From startups to Fortune 500 companies, Florida Charter Bus Company is committed to providing all our customers with a high level of customer service and professionalism. Our team of experts will help you coordinate transportation for corporate conferences, training seminars, client meetings, airport transfers, and more. We ensure that drivers arrive at least 15 minutes before the start of your trip to keep your itinerary running smoothly. Every step of the way, your driver will handle parking and navigation so you can focus on your company’s event. Transport employees and clients in style with premium amenities such as TVs, DVD players, WiFi, restrooms, and more. They can relax, watch movies, catch up on emails, or conduct on-board meetings on your luxury bus. Have clients coming in from out-of-town? Impress them with their own private minibus airport shuttle. Their driver will be more than happy to take them to their hotel, your office, or to Florida’s top tourist attractions. Shuttle event attendees to and from trade shows, treat your employees to a day away from the office, or conduct an off-site meeting. We’re here to help you plan a memorable trip any time of the year! The logistics of rideshare apps and carpooling quickly become overwhelming with groups of over 10 people. Members may arrive late or get lost when trying to navigate public transportation. 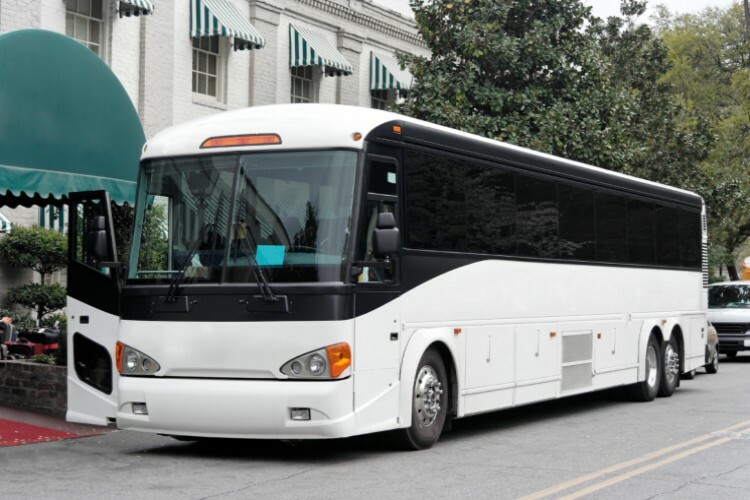 Save time and frustration by relying on a modern motorcoach to transport your group safely and comfortably to your destination. No matter the size of your company, we’ll match you with the best vehicle for your group. Call our reservation specialists 24/7 for a custom quote and a streamlined rental process. We’re available at 305-359-5975 and look forward to hearing about your company’s upcoming event!